Music has reached a level that was never imagined almost a decade ago from today. There are now a number of software tools also use by musicians and professionals to make an audio file perfect. One such tool is the audio equalizer that is best known to set and arrange the frequency of an original audio file and these days even for the mixed audio files. 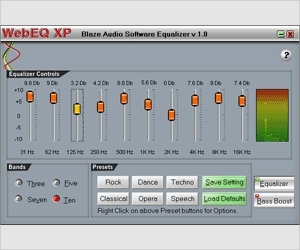 By getting audio equalizer software download, one can easily change the frequency along with many other additional features. Today it is the time of 3D sound. The software DFX Audio Enhancer offers you with high-quality 3D surrounding sound by improving the quality of the audio. The easy to use software offers advanced DSP and has a professional enhancer. 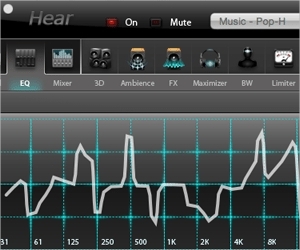 Also, the software features, speaker and headphone optimization, spectrum analyzer, surround sound and processing modes. 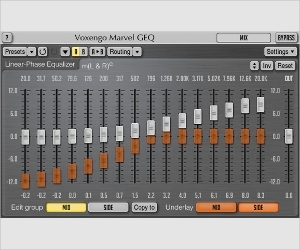 Marvel GEQ is a professional device with 8 channels and 16 bands. The software supports channel processing of both middle and side and routing capabilities of internal channels. With this software, not only audio tracks but also the mixes can be adjusted. Most importantly it features tracking and transparent graphic equalizer. 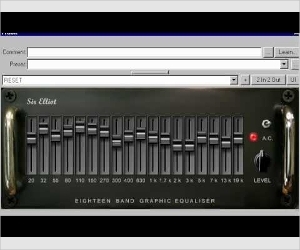 Free 18-band Graphic equalizer has been released by Sir Elliot as a free plugin to be used on Windows. It features a number of specifications such as 18 numbers of frequency bands, A.C switch, power indicator, frequency bands optimized based on both high and low sample rates, fixed delay and level control. RTEQ with up to 300 channels helps in equalizing not only MP3 like files but also audio signals of real time. 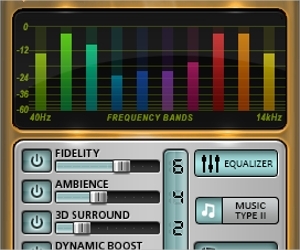 The free software comes loaded with a number of features such as variable dynamic range, dynamic equalizer, spatial resurrection, variable quality, supporting presets and skins. Saving the files is simple and the software is updated regularly with upcoming features. 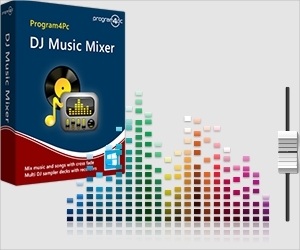 The software DJ Music Mixer with its user-friendly interface is at present one of the leading sound equalizer software to be used by professional DJs. Some of the features of the software that make it best are audio mixing software, powerful equalizer, remixing control, DJ samples, endless effects, ripping from audio CD to audio and extracting audio from videos. RoMac is a signal processing unit for the amateur radio. It has the capability of turning your computer to audio solutions with today’s modern features. A wide number of features make this simple looking software worth use. Some of such features are memory and menu manager, sound card manager and audio distortion meter. 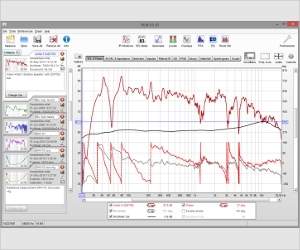 REW is a free to use software for analyzing loudspeaker responses. It offers to optimize the location and speakers along with the frequency to get a better listening experience. 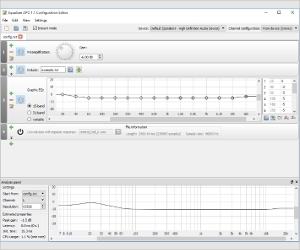 Some tools of the software that are worth mentioning are for audio test, measuring impedance and frequency, phase generation, curves for energy-time and transparent equalizer. 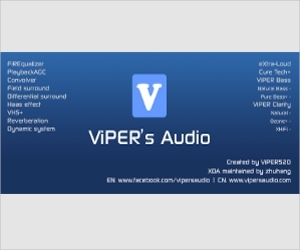 Viper’s Audio is software made for both Windows and Android and is becoming famous for its clarity and performance. The software is responsible for improving the bass and surround system. Due to amazing audio special effects, the software has already become famous for a number of people around the world. Also, the Auditory protection system reduces the auditory stress, concerning about the listener’s health. This software is exclusive for computers and laptops running on Windows XP. The software offers the free trial before you download it fully. It has 10 frequency bands to adjust and 7 preset equalizers. It easily improves the quality by improving the bass and allows you to listen to the audio track while it is performing its work in the background. 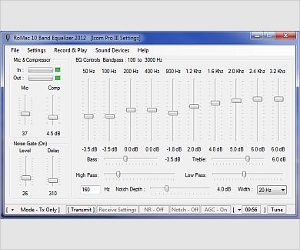 What is audio equalizer software? One of the major differences between an audio equalizer and audio editing software is that in a case of an audio equalizer, no editing can be done to fix up errors or mistakes. The equalizers are signal processing units that helps you in setting up your audio at a much tuned up sound quality. Different software for audio equalizers come with a different number of channels and frequencies based on which the audios can be adjusted. Also, there is much such software that can also adjust the band of the mixed audios and the live audios along with the normal audios. Of course, there are many special effects for supporting the equalizing feature of the software. There was a time when the audio equalizers were available only for the Windows operating system. But with passing time now one can easily get audio equalizer software for Windows, along with other operating systems such as Android and Mac. How to install audio equalizer software? 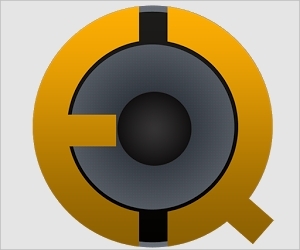 Today the audio equalizer software are available for all the major three platforms and hence there is different installation process for different software. For Windows, the software can be searched on Google and then can be downloaded and installed after reading the instructions on the page well. In the case of Android, the application needs to be downloaded and installed from the Google Play Store. Similarly, for Mac, this software to be installed from the official downloading site of Mac. But one thing that is common in all is the reading the features and terms carefully clicking on the ‘download’ link. In today’s digital world, one of the major sections of the music group that is using audio equalizer software is the DJs. Apart from the DJs; there are also other music professionals who use audio equalizer software for varied reasons and benefits. One of the major benefits of the software is to improve the quality of the audios. The sound quality of the audio is enhanced by improving the bass and also by adjusting the frequency band. This is the major benefit of the software, but today’s recent modern equalizers are known to have a number of other benefits too for the individuals. You may not require separate ripper software as many of the audio equalizer software acts performs the task of ripping the audios from the audio CDs too. Also, there are varied software packages that have featured sound effects to create a customized tune that is done by the DJs. The equalizer APO is compatible with Windows Vista, Windows, 7, 8, 8.1 and now also with Windows 10. It features a user interface that is graphical. Also it features varied channels and frequencies, unlimited filters and a low CPU usage. It has low latency, thus is compatible for interactive tools. Equalizer allows you to adjust the levels of sound effect to get the best audio experience on your Android smartphone or tablet. The application features 11 stock presets, 5 band levels, bass booster, power modes, widget skins, transparent background, and notification shortcut. It works with both Bluetooth and data cables. ‘Hear’ is a complete application for Mac so that you can get a great audio experience each time on your device. The application comes handy along with a dark background and a user friendly interface. It features large number of presets and various elements such as maximize, FX and 3D and limiter. If searched online, there can be a huge list of audio equalizer software, available for all the three operating systems that are Windows, Android, and Mac. 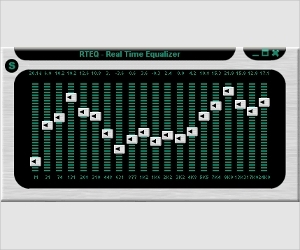 But to name a few of the most popular software, a few are Realtime Equalizer for Windows, Bass Booster for Android and Boom 2 for Mac. One of the most popular audio equalizer software of the year 2016 is DJ Music Mixer. One of the main reasons for it to get popular is because today is the era for DJs and the software is best developed keeping in mind this point. It is accompanied with many other features such as ripping audio CD, extracting audio from videos and many others apart from just being an equalizer.